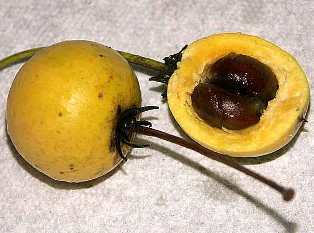 Ausubo is a little known fruit growing in tropical America. It is believed to have been originated in Puerto Rico. It grows naturally in the West Indies, and ranges from Mexicothrough Panama to northern South America, including the Guianas and Venezuela, to Peru, and to northern Brazil. 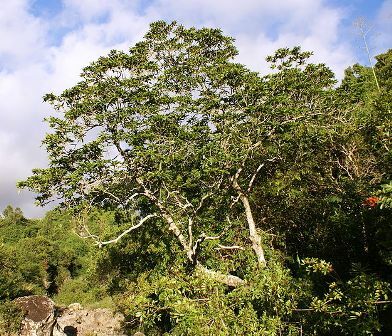 Ausobo is a very long lived tree and can continue growing upto 400 years. It is more important for timber than its fruits. A large, and very long lived evergreen tree, upto 45 m tall and 200 cm in diameter. Leaves, alternate, elliptical, entire, and 10-20 cm long. Fruit is a berry, 3-5 cm in diameter, yellow. Seed black, shiny, 1-2 per fruit. Fruits are edible and eaten fresh. However, the more common use of the tree is as a commercial timber. 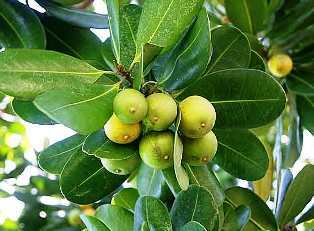 The tree is often tapped for its milky latex which is the source of balata gum. The latex becomes solid and somewhat crumbling at ordinary temperature, it softens at 120.2F, and can be molded like gutta-percha. Ausubo is very adaptable to both full sun and shaded conditions. Though it is a very slow growing tree, but still it is often planted for its timber. New plants are raised from seed. But the germination of seeds is slow, irregular and not more than 10%. Some seeds may even take upto 12 months to germinate. The young plants requite regular irrigation. These also require protection from cold.